At Waterford Place Apartments, we agree with pet lovers that life is better with your four-legged best friend. We are a pet-friendly apartment community and welcome your dog or cat to join you at your one bedroom apartment or two bedroom townhome. While the neighborhood is wonderful for an evening stroll with the dog, Shawnee Bark Park is a dog party, and just minutes away. 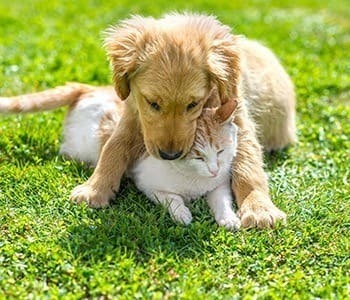 Your pet will love to watch the comings and goings of our vibrant community and will love sharing your spacious apartment with you even more. To find out more about pet-friendly apartment living in Mesa, AZ, contact our team at Waterford Place Apartments.